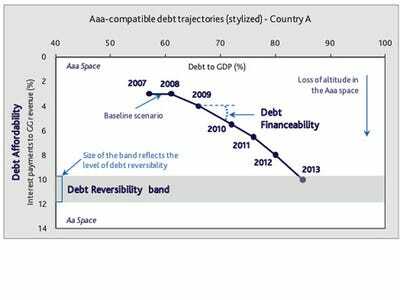 Sovereign debt scenarios are pointing towards doubt where the market has usually had the most confidence, namely U.S. and European debt.But even though these countries have become increasingly difficult to rate, Moody’s points to scenarios where things could go bad, or much much worse. 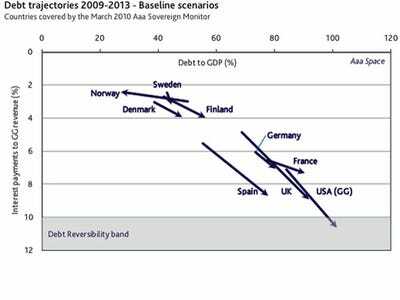 And while some of the traditional powerhouses may suffer, the cleaned up Scandinavians may be the place to hide in low risk bonds. 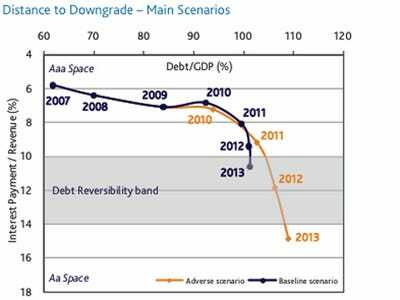 Germany: Bunds still a good bet, at least until 2013. 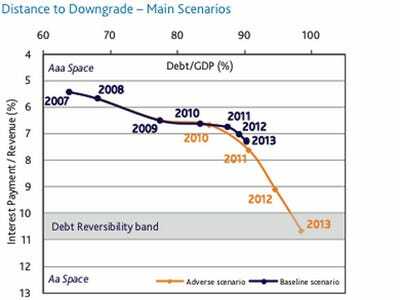 France: Safe at least through 2012, but beware of 2013 tail risk scenario. UK: The trend is downward, but you should be safe through 2011. 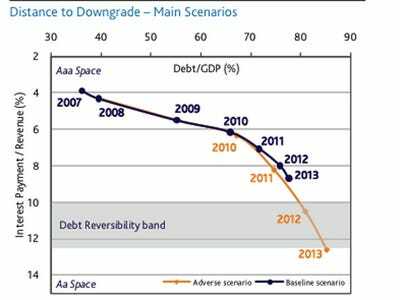 USA General Government: If you're bullish, pull out in 2013. 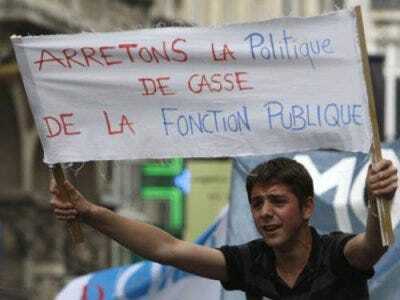 Otherwise, pencil it in for 2011. 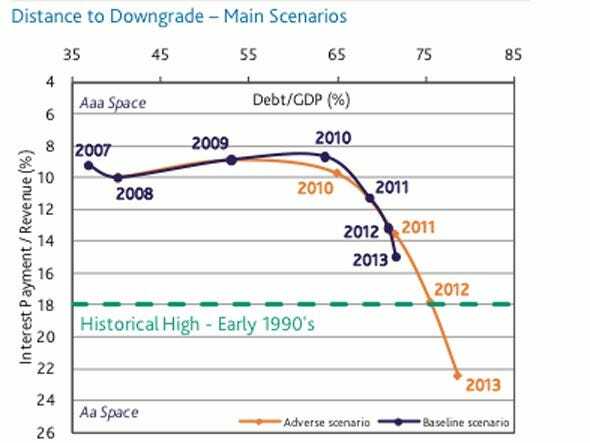 USA Federal Government: Things look particularly bad for the Federal government after 2012. 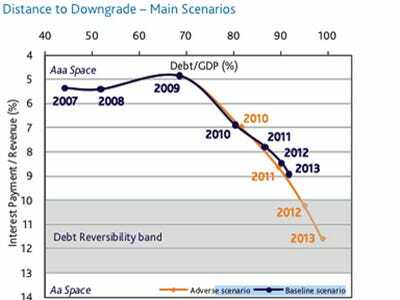 Spain: Things are not looking favourable in Spain's future. Proceed with extreme caution. 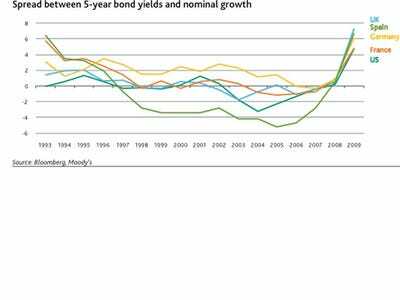 Low growth is going to exacerbate worries in the UK and Spain. 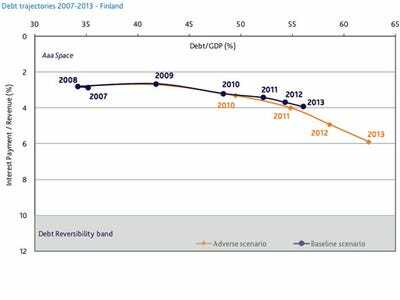 Finland: Trend line is bad for Finland, but not at a high pace. 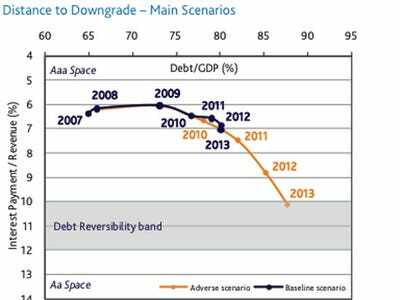 Sweden: Baseline points to dramatic improvements. 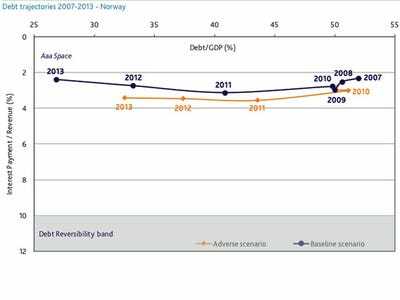 Norway: Debt is growing but interest is sure to remain low. 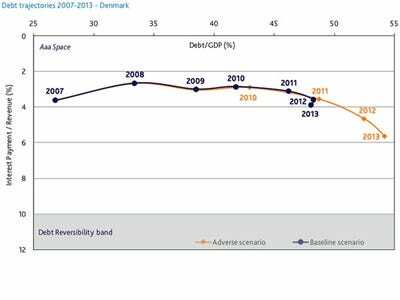 Denmark: A bit mixed but worsening sure not to accelerate too rapidly. 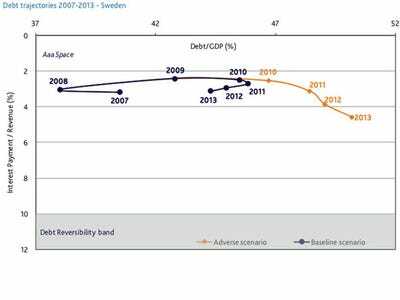 Comparative Trajectories: Scandinavia is the safe spot.